A Theatres Audit that evaluates all theatres across Malta and Gozo, gathering information about both the physical infrastructure of each site, as well as the artistic and creative potential that lies within each theatre is the next phase of the project. This was commissioned by Arts Council Malta and will be implemented by the Valletta 2018 Foundation. 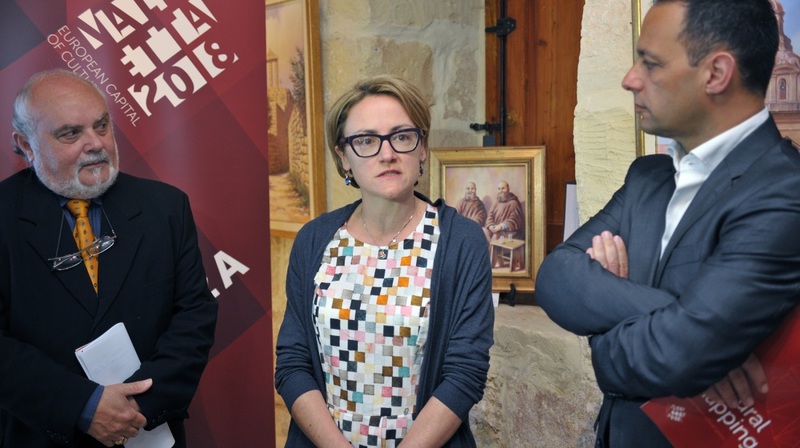 An audit of theatre spaces across Malta and Gozo was announced as part of the next phase of the Valletta 2018 Cultural Mapping project. Valletta 2018 Foundation Chairman Jason Micallef unveiled an online map – www.culturemapmalta.com – which exhibits the data collected during the first phase of the project. Mr Micallef stated “This map is a clear manifestation of the long-term vision and legacy that the Valletta 2018 Foundation is seeking to establish within the cultural sector. For the first time, the local culture sector can understand the breadth and diversity of the cultural infrastructure across Malta and Gozo”. This map will allow artists, performers and town planners to identify new and innovative spaces within which to perform or exhibit their work. Sites mapped include performance spaces, museums, and exhibition spaces, educational and sport facilities, and public spaces such as gardens, village squares and streets which are used for cultural activity. The Foundation also announced the opening of registrations for the upcoming Valletta 2018 international conference titled “Cultural Mapping: Debating Spaces and Places”. This conference, which will be held in October, brings together academics, researchers and artists from around Europe and the Mediterranean to explore different examples of cultural mapping across the region. Registration for this conference can be carried out by completing the online form on the Valletta 2018 website www.valletta2018.org. During his intervention, Arts Council Malta Chairman Albert Marshall announced the next step in this project, “a Theatres Audit that evaluates all theatres across Malta and Gozo, gathering information about both the physical infrastructure of each site, as well as the artistic and creative potential that lies within each theatre. This next phase of the project is commissioned by Arts Council Malta and will be implemented by the Valletta 2018 Foundation”. Prof. Maria Attard, Director and Vice-Chair of the Institute for Climate Change and Sustainable Development at the University of Malta, which was commissioned to develop the cultural map said “the Cultural Mapping project is set to transform the way we look at information about tangible and intangible cultural infrastructure and hopes to encourage public participation in the upkeep and use of such information”. The Cultural Mapping project seeks to create a comprehensive repository of all spaces across the Maltese islands which are used for cultural purposes, and to make information on these spaces available to the public. The first phase of the project involved the physical mapping of Malta’s cultural spaces using GIS technology. A third strand of the Cultural Mapping project – the publication of a critical analysis of the use of cultural spaces in Malta and Gozo – is ongoing. This phase of the project is a collaboration between the Valletta 2018 Foundation and the University of Malta. This publication will present a critical reflection on cultural activity and space in Malta from the perspective of several academic disciplines.